1.1. In accordance with the sporting ideals and precepts of the Olympic Charter and in furtherance of the purposes set out at article 2 of the Constitution of the World Bridge Federation (“WBF”), the WBF requires its affiliated National Bridge Organizations (“NBOs”) and their members and affiliates to respect the fundamental principles of Olympism and, in particular, the principles of friendship, solidarity and fair play. One of the aims of this Disciplinary Code is to reinforce and promote the above-mentioned principles. More particularly, this Disciplinary Code sets out various forms of behaviour which constitute “Reprehensible Conduct” (see article 4 and may be punished with one or more disciplinary sanctions (see article 5< below). 1.2. Reprehensible Conduct shall be prosecuted by the WBF Prosecutor and decided, in the first instance, by a Disciplinary Tribunal of the Disciplinary Commission (see, in particular, articles and 7 below). The decisions of the Disciplinary Tribunal may be appealed to the Court of Arbitration for Sport (see, in particular, article 8 below). 2.1. Without limitation, this Disciplinary Code shall apply to (i) all affiliated NBOs, (ii) any persons (including players, non-playing captains, team representatives, coaches, technical officials, technicians, accredited persons, observers and spectators) who participate in or attend any event, tournament or competition organized, granted or sanctioned by the WBF (“WBF Events”), (iii) any persons who hold any position or carry out any functions on behalf of either the WBF, a Zonal Conference (“Zone”) or an NBO (including any organ or commission of the same) and (iv) any other persons who accept that this Code shall apply to them or are otherwise subject to it. 2.2. 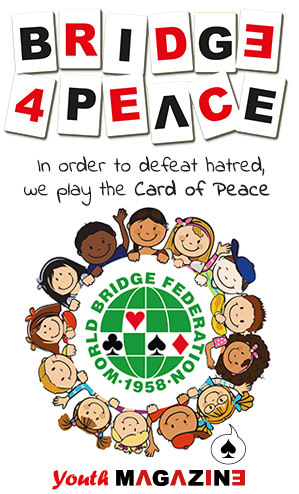 Other regulations of the WBF – including, but not limited to, the Laws of Duplicate Bridge, the By-laws, and Conditions of Contest – contain specific provisions aimed at ensuring the orderly and fair conduct of WBF Events. It is typically the responsibility of the Tournament Director (and if necessary the Championship Committee) to enforce these event-specific provisions and take the necessary measures at the time of the event in question. For the avoidance of doubt, this Disciplinary Code shall be without prejudice to these event-specific provisions. Similarly, the fact that event-specific measures may be taken in respect of behaviour occurring at a WBF Event shall not in any way prevent or restrict further disciplinary measures being taken in respect of the same behaviour in accordance with the provisions of this code. 2.3. This Disciplinary Code shall be without prejudice to any powers which the Executive Council or Congress may have pursuant to provisions contained within the Constitution or By-laws of the WBF including, in particular, the power to suspend or remove an NBO from the WBF and the power to suspend or remove an officer or committee member from his/her position. 2.4. This Disciplinary Code shall not apply, and be without prejudice, to anti-doping matters, which shall be governed by the WBF Anti-Doping Rules and Regulations. 3.1. Each NBO and Zone shall, upon request, provide any reasonable assistance to the WBF and, in particular, the WBF Prosecutor with respect to the investigation of alleged Reprehensible Conduct by its members or affiliates and the conduct of any resulting disciplinary proceedings. 3.2. In the event that an NBO or Zone becomes aware of behaviour which is likely to amount to Reprehensible Conduct for the purposes of this Code, it shall immediately inform the WBF Prosecutor or the WBF Secretariat of the same. 3.3. In respect of any sanction imposed pursuant to this Disciplinary Code, which applies not only to the WBF Events but also to the events of the NBOs and Zones, the NBOs and Zones shall respect, and be responsible for the enforcement of, such sanctions within their respective jurisdictions and spheres of activity. (l) any other conduct which is not consistent with the principles of Olympism set out at article 1above including, in particular, any form of discrimination based on race, religion, politics, gender or otherwise. 4.2. Unless stated otherwise, the different forms of Reprehensible Conduct may be committed by both legal persons (NBOs, Zones etc) and individuals (players, officials etc). (b) A monetary fine between one thousand Swiss francs (1,000 CHF) and twenty thousand Swiss francs (20,000 CHF). (l) With respect only to the Reprehensible Conduct described at article 1(a) above, a permanent ban of the person concerned (excluding NBOs) from attending and/or participating in WBF Events and/or activities and the events and/or activities of the NBOs, Zones and other WBF affiliates. 5.2. For the avoidance of doubt, Reprehensible Conduct falling within article 1(a) but also within other types of Reprehensible Conduct shall be considered in all circumstances as a violation of article 4.1(a) for the purposes of sub-articles 5.1(j),(k)(l). 5.4. With respect to particularly serious Reprehensible Conduct committed by an NBO, the hearing panel shall be entitled to refer a matter to the Executive Council so that it may consider the possible suspension or removal of such NBO in accordance with articles 2.3 and 2.4 of the By-laws. 6.1. The WBF General Counsel acts as Prosecutor. 6.2. The WBF President may appoint one or more Substitutes of the Prosecutor and may appoint one or more third parties as is reasonably necessary to assist him/her in the performance of his/her duties. 6.3. The Prosecutor and/or his Substitutes may decide to investigate a case of possible Reprehensible Conduct either on his own initiative or following a complaint or referral by an NBO or party with a legitimate interest. The Prosecutor shall not be obliged to consider anonymous complaints. With respect to alleged Reprehensible Conduct occurring within the context of WBF Events: (i) complaints shall be lodged as soon as reasonably practicable during or following the event in question; (ii) the WBF Prosecutor shall only consider complaints if they are lodged on or before the date falling two months after the final day of the event in question; however, this shall not restrict the Prosecutor’s ability to commence investigations on his own behalf; and (iii) results of an event cannot be changed when the next edition of the same event has commenced (other than the removal of medals for any players and/or their teams sanctioned as a consequence of any disciplinary proceedings that are brought). A Disciplinary Panel of not less than 5 members is appointed by the WBF President with the approval of the Executive Council. The members of the Executive Council and the Advisory Committee cannot be appointed as members of the Disciplinary Panel. 6.6.1. Upon receipt of a Statement of Charges by the WBF Secretariat, the President shall appoint a Disciplinary Tribunal consisting of three members of the Disciplinary Panel (one of whom shall be designated as Chairperson) and a secretary in order to assist such Tribunal. 6.6.2. The President shall not appoint as a member of the Disciplinary Commission to the Disciplinary Tribunal a person who has a direct interest in the matter at issue or is otherwise in a position of conflict. 6.7.1. The parties to the proceedings before the Disciplinary Tribunal shall ordinarily be the Prosecutor and the accused person(s). 6.8.1. Once constituted, the Disciplinary Tribunal shall forward the Statement of Charges to the accused person(s) (and, if such accused person is not an NBO, to the relevant NBO) and issue procedural instructions to the parties regarding the written submissions. 6.10.1. The Disciplinary Tribunal shall determine, after receipt of the written submissions (and any further information or documentation) whether an oral hearing is necessary. There is no automatic right to an oral hearing. 6.10.2. If a hearing is to be held, the Disciplinary Tribunal shall send a Notice of Hearing to the parties no less than 15 days prior to the commencement of such hearing. 6.10.3. The hearing should be held as soon as reasonably practicable following the closure of the written proceedings. 6.10.4. The Tribunal shall seek to organize any hearing in an appropriate location (bearing in mind the countries of residence of the accused person, the WBF Prosecutor, any counsel, experts, witnesses and the members of the Tribunal). 6.11.1. The Disciplinary Tribunal makes a decision (whether on the basis of the written submissions or after a hearing) by majority or unanimity; in the event of a majority decision, the position of the Tribunal member in the minority shall not ordinarily be recorded in the decision. 6.11.2. The Disciplinary Tribunal shall record its decision in a written and reasoned report which shall be signed by (at least) the Chairperson and notified to the parties as soon as reasonably practicable by any appropriate means. 6.11.3. The reasoned report of the Disciplinary Tribunal shall draw attention to the parties’ right of appeal (see article 8 below). 6.11.4. The decision of the Disciplinary Tribunal shall deal with the costs of the procedure, including any fees and expenses of the members of the Tribunal and the secretary. The costs of the procedure shall be established by the secretary of the Tribunal and shall be met by the parties (or by one party) in accordance with an allocation established by the Panel and set out in the decision. The decision may also provide for a party to cover all or some of the legal and other costs of another party. 6.11.5. The fact the accused person(s) does not participate in the proceedings of the Disciplinary Tribunal (or any part thereof) does not prevent or restrict such tribunal from proceeding and rendering a decision. 6.12.1. The Disciplinary Tribunal must be comfortably satisfied (a standard of proof that is stated to be lower than the criminal standard of beyond reasonable doubt, but higher than the civil standard of balance of probabilities) on clear and convincing evidence that the accused person has engaged in Reprehensible Conduct within the meaning of article 4 Circumstantial evidence will be admissible and hearsay evidence may be admissible. 6.12.2. The facts relating to Reprehensible Conduct may be established by any reliable means. 6.13.1. The language of the oral and written proceedings shall be English. 6.13.2. The parties can be assisted, at their own expense, by an interpreter. 6.13.3. If the parties seek to produce any document in a language other than English, the Disciplinary Tribunal may, whether on its own initiative or upon request by a party, require an English translation of such document. 6.13.4. If the Disciplinary Tribunal considers it necessary to supplement the presentations of the parties, it shall have the right at any point during the proceedings to (i) request further information and documentation from the parties (ii) order the examination of witnesses, (iii) appoint and hear experts and (iv) proceed with any other appropriate procedural act. 6.13.5. The Disciplinary Tribunal may, if reasonably necessary, consult and be assisted by experts or lawyers. 6.13.6. All written submissions (including exhibits) and correspondence sent by a party to, or for the attention of, the Disciplinary Tribunal shall in principle be sent to all other parties to the proceedings. 6.13.7. The Disciplinary Tribunal may be assisted, with respect to any secretarial and administrative aspects of the proceedings, by the WBF Secretariat. Documents may be notified to the parties by any reliable means, including email, fax, post and courier. 6.13.8. Requests by the parties for the production of documents shall only be considered in exceptional circumstances; any requests must be specific and relevant. 6.13.9. Save for the (possible) publication of any eventual sanction in accordance with article 5.3 above, the proceedings of the Disciplinary Tribunal shall be confidential. The parties, the members of the Disciplinary Tribunal, the secretary of the Disciplinary Tribunal and other persons involved in the proceedings shall respect this confidentiality. 6.13.10. Within the framework of the provisions set out in this Code, the Disciplinary Tribunal has the discretion and authority to determine the nature of the proceedings and to resolve any procedural dispute. 7.1. Notwithstanding the provisions set out at article 6above, the Disciplinary Tribunal shall have the possibility to conduct its proceedings on an expedited basis if the circumstances so warrant. In this eventuality, the tribunal shall issue appropriate instructions to the parties. 7.2. In particular, but without limitation, the Disciplinary Tribunal may be convened on an ad hoc basis within the context of a WBF Event in order to deal with alleged Reprehensible Conduct occurring at such event. In these circumstances, the Disciplinary Tribunal shall be entitled to take certain preliminary measures (including the imposition of certain sanctions, if necessary) and to defer other matters for subsequent consideration. In such circumstances, any preliminary measures taken by the Disciplinary Tribunal may only be appealed to the Court of Arbitration for Sport (Lausanne) after the proceedings of the Disciplinary Tribunal have been concluded. 8.1. The reasoned decision of the WBF Disciplinary Tribunal may be appealed exclusively to the Court of Arbitration for Sport (Lausanne) to be resolved in accordance with the Code of Sports-related Arbitration. 8.2. Any such appeal must be lodged within 21 days of the date of notification of reasoned decision of the Disciplinary Tribunal. 8.3. An appeal to CAS shall not stay the enforcement of the decision of the Disciplinary Tribunal. 8.4. In the event that the only sanctions imposed by the Disciplinary Tribunal are (one or more of) a reprimand and a monetary fine, the dispute shall be submitted to a Sole Arbitrator. In all other circumstances, the dispute shall be submitted to a Panel of three arbitrators. 8.5. The language of the CAS arbitral proceedings shall be English. 9.1. This Code, approved by the WBF Executive Council on 1st October 2015, takes effect from 1st January 2016. 9.2. With respect to Reprehensible Conduct occurring before the entry into force of this Disciplinary Code, the substantive provisions of the Disciplinary Code in force at the time of such conduct shall apply; however, the procedures contemplated by this Code shall apply to the prosecution of such Reprehensible Conduct.